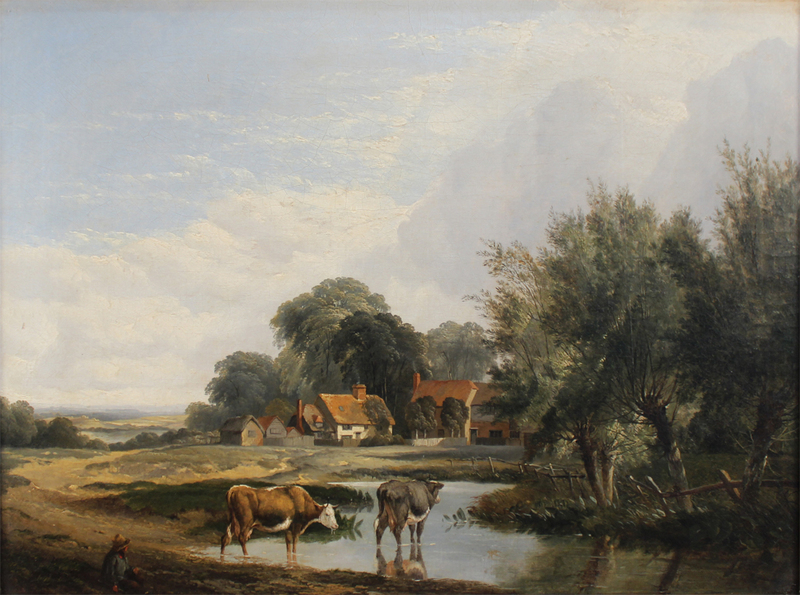 From our Select Sale of Fine Art on 10th September is an oil on canvas by James Stark (1794-1859), the view of a farmstead with a figure near two cows is indistinctly signed and measures 44cm x 59cm. Lot 20 carries a pre-sale estimate £3000-5000. 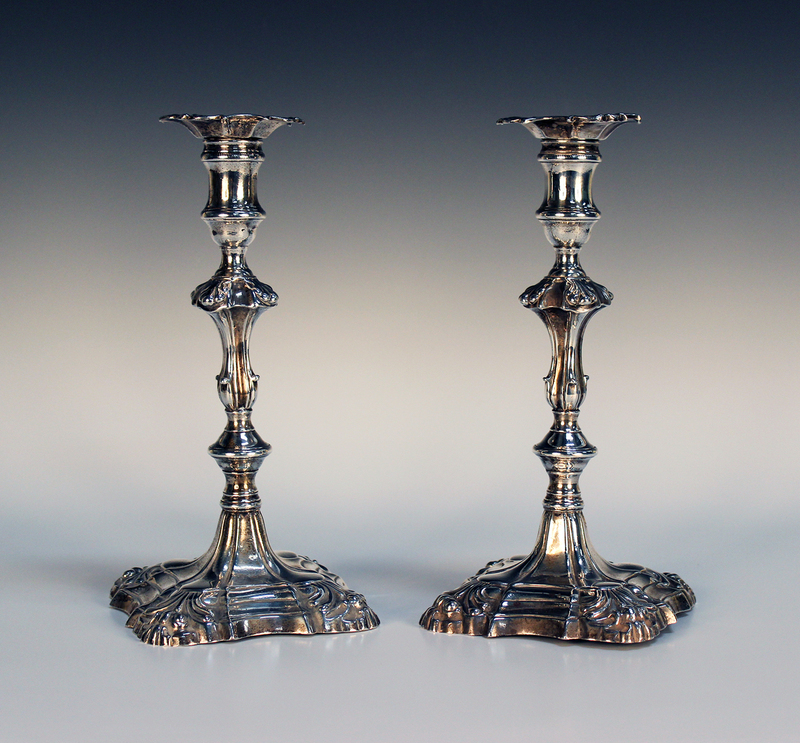 On the afternoon of the 10th September in the Sale of Silver and Plate is this pair of George II cast silver candlesticks, each with a square foliate cornered detachable nozzle above a baluster and knop stem, on stepped foliate cornered square bases, London 1755 possibly by John Wirgman, height approx 23.5cm. Lot 330 carries a pre-sale estimate £700-1000. 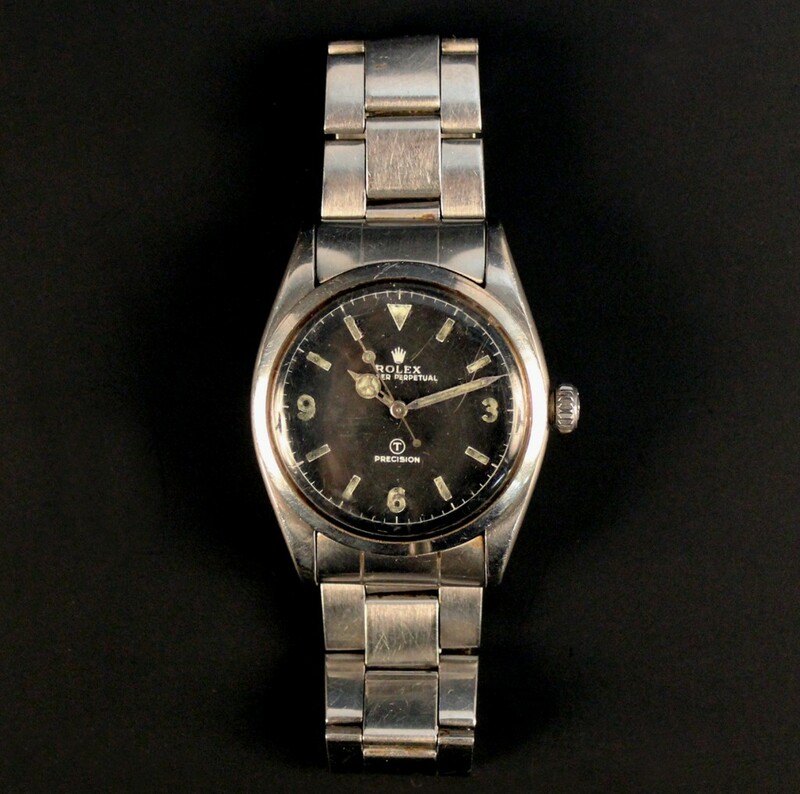 Included in the specialist auction of Clocks, Watches, Cameras and Scientific Instruments on 11th September is a Rolex Oyster Perpetual Precision T steel bubbleback cased MOD issue gentleman’s wristwatch, the signed black dial with luminous Arabic and baton shaped numerals, triangular at twelve o’clock, with Mercedes hour hand and centre seconds, the milled screw-off bubble case back unmarked to the exterior, on a later Rolex Oyster steel bracelet with a fold-over clasp. Lot 1020 carries a pre-sale estimate £4000-6000. 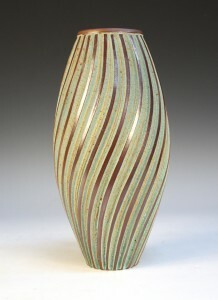 A Moorcroft pottery vase, circa 1916, the slender baluster body decorated with the Persian pattern against a cream ground within green glazed banded borders, beneath a pair of green loop handles, impressed factory mark and green painted signature to base, height approx 24cm. 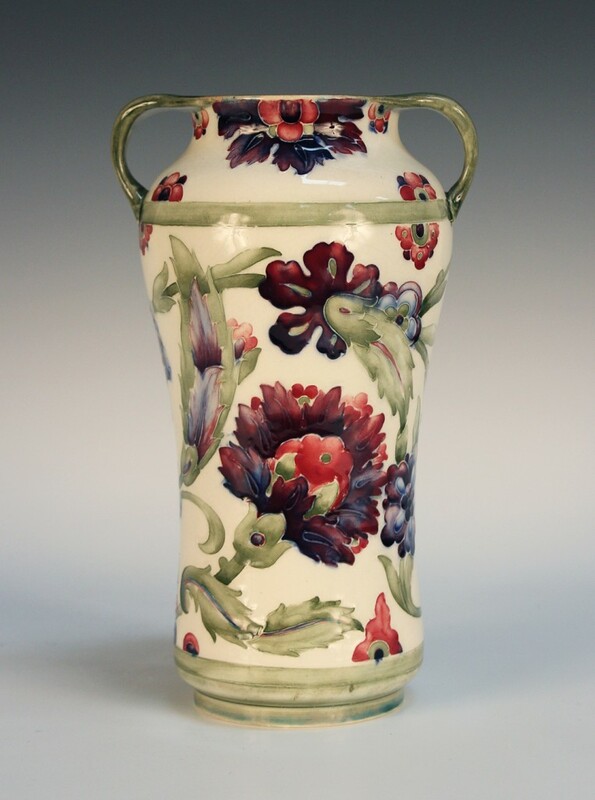 Lot 1500 will be offered in the afternoon of Thursday 11th September and carries a pre-sale estimate of £1500-2500. Our sale of Metalwork and Collectors’ Items includes three Austrian cold painted bronzes by Franz Xavier Bergman. 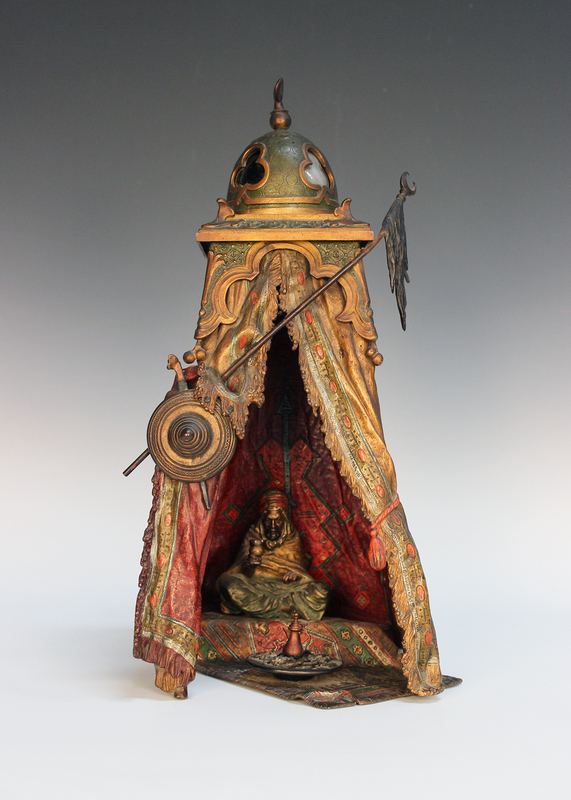 Including The Bedouin Tent, a table lamp in the form of an Arabian gentleman seated within a tall arched tent, the domed top with four coloured glass lenticles, the reverse bearing impressed Bergman vase mark and ‘Geschutz’, height approx 36cm, width approx 18.5cm. Lot 2668 carries a pre-sale estimate £3000-5000. On the 18th June, Toovey’s will host their second Select Painting Sale of 2014. Prior to the printed catalogue landing on doorsteps around the world and in advance of the online catalogue being uploaded to Toovey’s website, we thought a preview of five of the highlights might be in order. 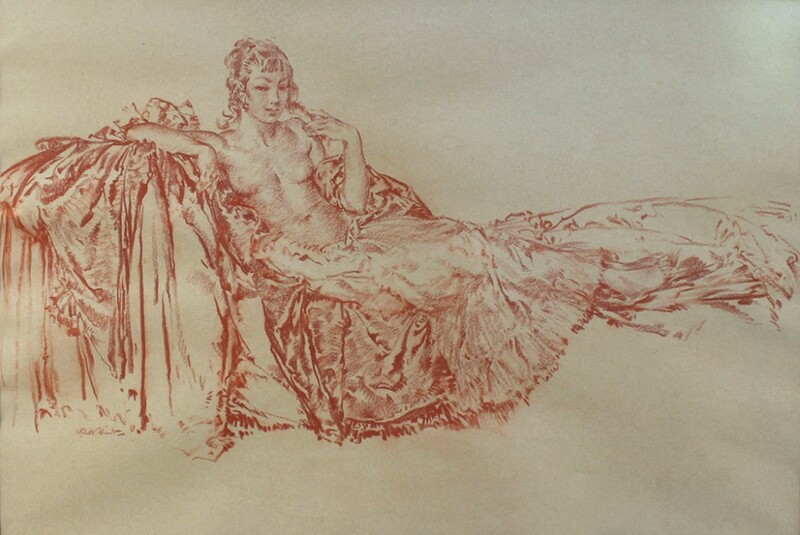 Firstly we look at the £3000-5000 sanguine drawing above, it is by an artist who needs no introduction, William Russell Flint (1880-1969). 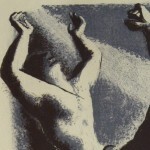 While most people are familiar with his colour prints, his original works are not often seen for sale at auction. This sanguine comes with a letter from the artist dated 9.12.68 which states ‘the rubbing must be my own unless the drawing has been taken from its frame and smeared’, referring to the minor smudging to some lines. 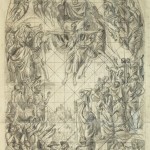 Having no sign of being taken out of its frame, this can no longer be seen as a condition flaw, instead it is part of the drawings character. The work on paper measuring 38cm x 56.5cm is titled ‘The Model with the Fringe’. Other works by Flint in the auction include three drypoint etchings and a scarce line block. Another painting included in the sale is an original watercolour by Henry Ryland (1856-1924), which in subject matter is certainly similar to that of Flint, albeit a little bit earlier. 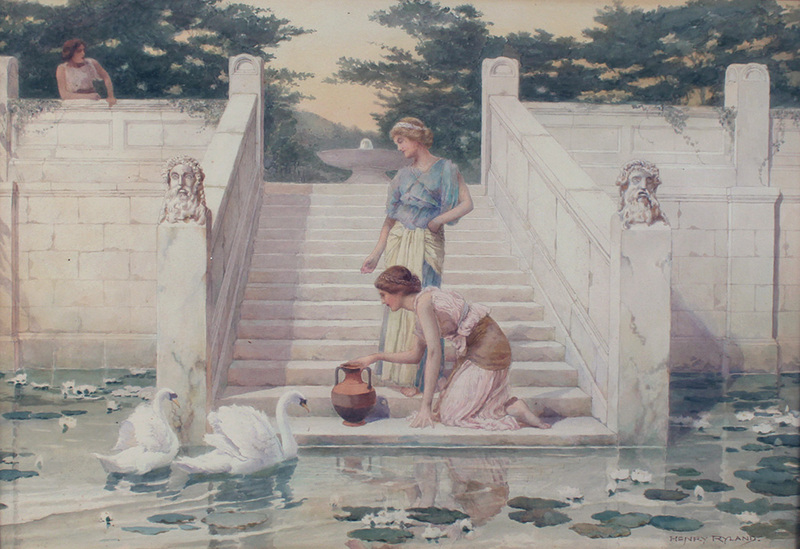 The soft quality and palette reflects the tradition of classical scenes of the late 19th Century, popularized by the likes of Lawrence Alma-Tadema and Albert Moore. ‘Calm of Evening’ by Ryland measures 38cm x 56cm and is offered with a pre-sale estimate of £1000-1500. An original watercolour and ink by Annie French (1872-1965) is included in the June auction of Select Fine Art. 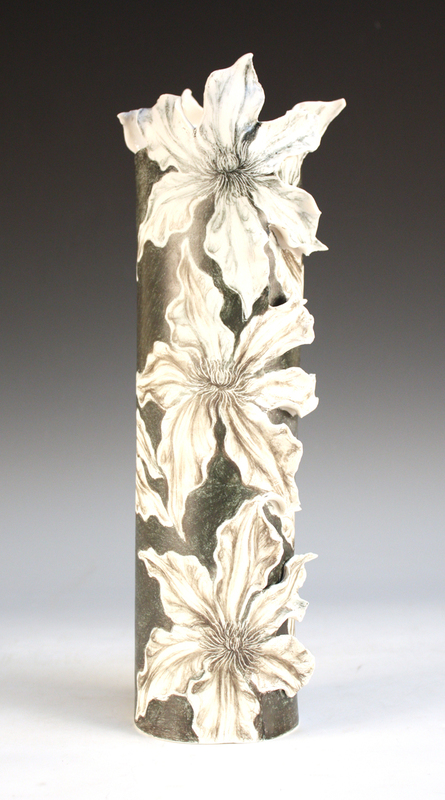 Titled ‘A Lady with a Bouquet’ this beautiful work measures 25cm x 8cm. The labels on the back show that it has previously been retailed by Kaye Michie and the Maas Gallery prior to being offered in Toovey’s auction. It is presented in a bespoke mount with ink stylized flowerheads to reflect the artist’s hand. This work by a leading member of the Glasgow School and talented book illustrator carries a pre-sale estimate of £2000-3000. The view of a villa above, presumably depicts an unidentified home in Jamaica. 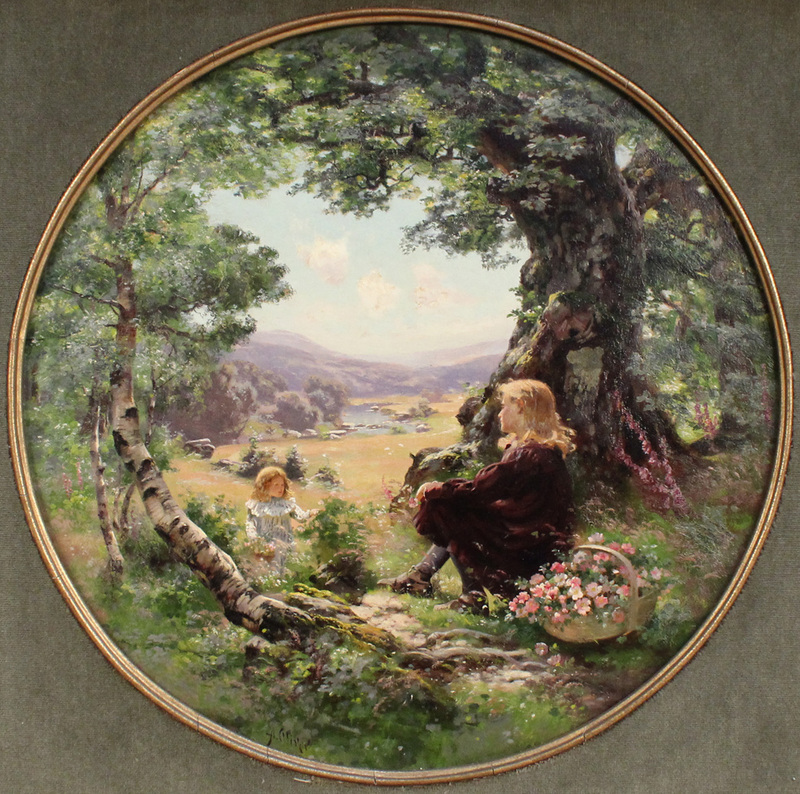 It is estimated at £800-1200, but will the purchaser be associating the value to the picture or the autograph? Hopefully a bit of both! 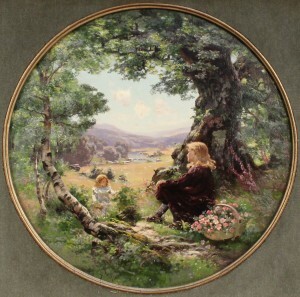 The final work in our preview is a tondo view of two children picking flowers in a landscape. It is by Royal Academician Alfred Oliver who flourished between 1886 and 1921. From this period is the oil on canvas shown here. 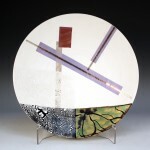 Measuring 38.5cm in diameter, this work had previously been retailed by the Macconnal-Mason gallery, today, it carries a pre-sale estimate of £500-800. 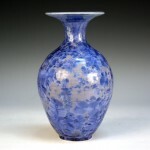 and on the day of the auction, Wednesday 18th June, 9.00am to 10.00am (the start of the auction). A group of twenty works by the 20th century artist Hans Feibusch is to be offered for auction in Toovey’s specialist fine art sale on Wednesday 12th June. 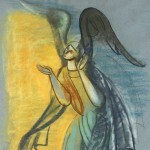 Feibusch had strong links with Sussex and worked in a particular figurative style, influenced by the painters of the Renaissance. Hans Feibusch arrived in England in 1933 from Nazi Germany to escape persecution as a Jew. 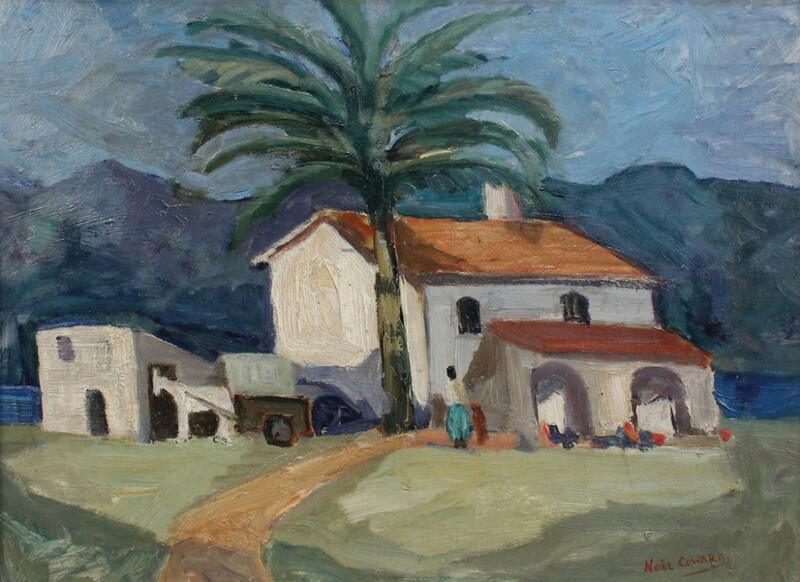 He had become an established painter in Germany and was awarded the German Grand State Prize for Painters in 1930 by the Prussian Academy of Arts in Berlin. His talent was soon recognized in England and he exhibited regularly, often with the London Group, to which he was elected in 1934. The London Group included many of Britain’s leading artists. 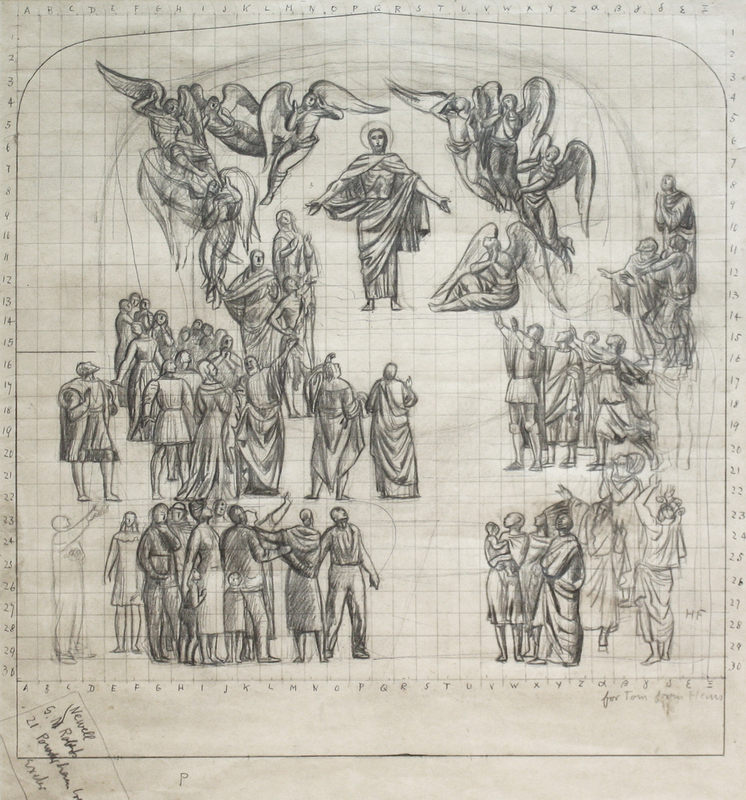 His first public commission came in 1937 when Edward D. Mills invited Feibusch to paint a mural, ‘Christ washing the Disciples’ Feet before the Last Supper’, for the new Methodist Hall in Colliers Wood, London. The painting attracted a great deal of interest from the national press and brought the artist to the attention of Kenneth Clark, later Lord Clark. Clark was very influential and was director of the National Gallery in London during the war. His television series and book ‘Civilisation’ would subsequently capture the imagination of a generation. Bishop George Bell of Chichester wrote to Kenneth Clark at the National Gallery in 1939 asking for suggestions as to artists who might be prepared to accept commissions. Clark introduced Feibusch to Bell and the two men met for lunch in Brighton on New Year’s Day 1940. It marked the beginning of a lifelong friendship, during which Bell would be Feibusch’s leading patron. Both men were unprepared to turn their backs on evil. Feibusch personified Bell’s deep and active concern for the plight of the Jews in Germany and its refugees. In 1929 Bell became Bishop of Chichester, bringing with him patterns of worship and the arts from Canterbury Cathedral, where he had been dean. He wished to see churches once more filled with colour and beauty. Eternal truths could be proclaimed anew in music, modern art and poetry. More people would be drawn into the Christian community by the revival of this old alliance and renewed vitality. Among visitors to the Bishop’s Palace in Chichester were Gustav Holst, Vaughan Williams, Henry Moore, T.S. Eliot, Vanessa Bell, Duncan Grant and, of course, Hans Feibusch. While the attention of the art world moved on to focus on the abstraction of Ben Nicholson and the new depiction of naturalistic forms by artists like Henry Moore and Graham Sutherland, Hans Feibusch continued to paint and draw figuratively. 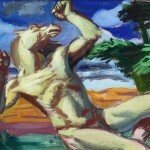 His style of painting has been the subject of renewed interest in recent years with retrospective exhibitions held at Pallant House Gallery, Chichester, in 1995, and more recently at the Bishop Otter Gallery, University of Chichester, in 2012. Hans Feibusch’s work rarely comes to the market and it is with some excitement that collectors are looking forward to Toovey’s sale. 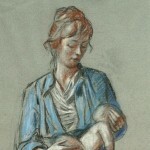 The group of sketches, studies and prints will be offered in twelve lots at 10am on 12th June at Toovey’s Spring Gardens Auction Rooms, Washington. 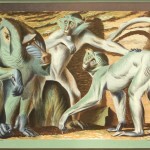 Below: a selection of other works by Hans Feibusch to be offered in Toovey’s June auction. As the November auction goes on view, the December sale is already taking shape. The Select Sale of Paintings has a number of works already consigned; among them a beautiful oil on canvas by George Percy Jacomb-Hood. Jacomb-Hood was born at Redhill on 6th July 1857, the son of an engineer and director of the London, Brighton and South Coast Railway. He was educated at Tonbridge School and received formal art training at the Slade School; here he won a travelling scholarship and the Poynter Prize. He continued his study under J.P. Laurens in Paris. Throughout his successful career Jacomb-Hood exhibited widely, including at the Royal Academy and at the Paris Salon. He was an original member of the Royal Society of Portrait Painters but later resigned his membership. Jacomb-Hood worked for The Graphic and The Illustrated London News, travelling to India with the Prince and Princess of Wales in 1905 and with King George V for the Durbar in 1911. On the latter trip he was a member of the King’s personal staff and became a Member of the Royal Victorian Order (MVO) in 1912. Jacomb-Hood lived for most of his life in London and died on 11th December 1929. While working for The Graphic he was sent to Greece in 1896, the same year that this oil on canvas was painted. His travels obviously inspired him to paint this scene based on Greek mythology. 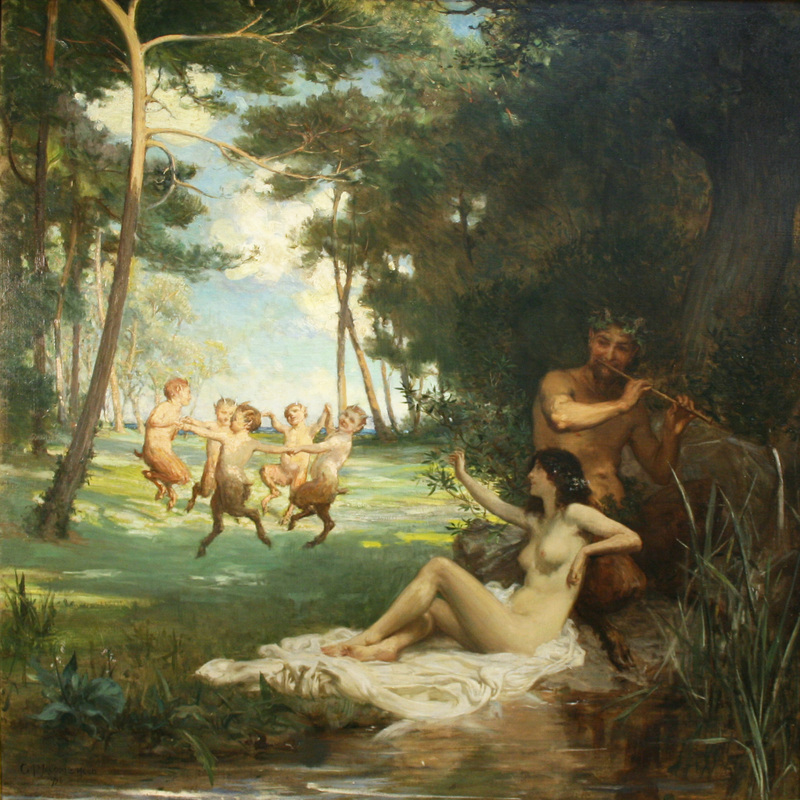 This original work depicts Pan seated beside a nymph in a wooded area, the God is playing his flute causing the faun-like children of Pan to dance around in the background. It is signed and dated 1896 to the bottom-left corner. Estimated at £3000-5000, the painting measures 100cm x 100cm and is presented in a sympathetic gilt composition picture frame. Further entries are invited for the Select Sale of Paintings and although the deadline for entries is the 21st November it is recommended to bring works for inclusion in the auction on the week commencing 12th November. Other specialist sales featured in the December auction include: Silver & Plate, Jewellery, Oriental Ceramics & Works of Art, and Antique & Period Furniture. Pre-sale valuations are free of charge at Toovey’s Spring Gardens salerooms in Washington, West Sussex. We are happy to provide no obligation valuations on single items or entire collections, please do not hesitate to contact us by email or telephone with any queries. He continues, “I think work in ceramics is often overlooked as ‘art’, probably because of its historically more utilitarian applications, especially in this country. In Continental Europe, however, you have whole museums dedicated to the subject of modern ceramics. 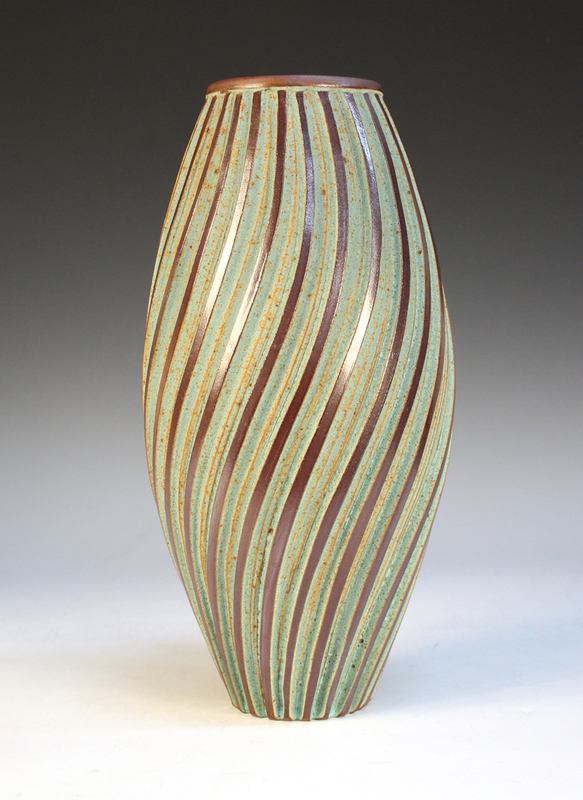 That said, England still has a wonderful heritage of studio pottery, which I am pleased continues today.” In keeping with the outlook of the Contemporary Art Auctions, there is an eclectic mixture of styles and appearance included in this year’s auction. 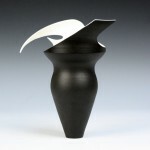 Ben Barker and Josse Davis have participated in all the previous contemporary art auctions at Toovey’s. Both were featured in a previous blog post ‘The Familiar Faces of the Contemporary Art Auctions‘. In contrast, there are five ceramicists appearing at the event for the first time: Pam Dodds, Jessica Jordan, Lisa Katzenstein, Justine Munson and Emily Myers. How do you describe your work? Pam Dodds: I usually say something like… I work on the wheel, an experience so like putting your hand up a cow’s bum, but then discovering you have found something sweet and wonderful being played on a finely tuned musical instrument. What inspires you? 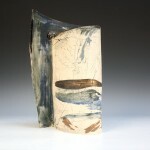 Jessica Jordan: I have always lived in Littlehampton, very close to the Sussex Downs and the beach. 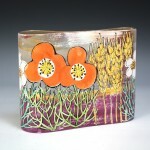 I use aerial views of the downs, looking at the changing landscape through the seasons. The surrounding areas are a big influence to the work that I do. What are the qualities of a great artist? Lisa Katzenstein: Somebody who finds their own subject matter and ploughs on without regard for fashion, but still has an awareness of the culture and society they live in. Is there an interesting fact about you that people may not know? Justine Munson: My studio is so cold in winter I have to wrap my feet in bubble wrap to insulate them from the concrete floor. It’s not attractive but it works. 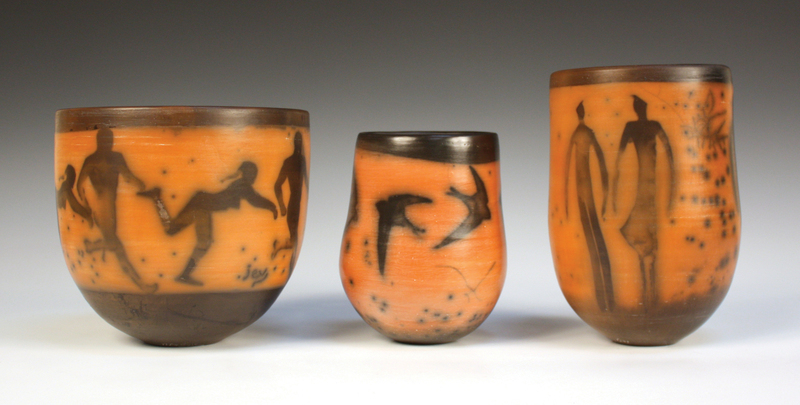 How do you manage to get the carved lines on your pots so even? 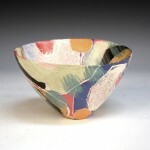 Emily Myers: There is no trick to it, except a great deal of time invested in each piece. The caring is all done by eye. Many people have commented on my steady hand when they watch me work. These five ceramicists add to the mix in the auction and join Peter Beard, John Evans, Carolyn Genders, Jonathan Chiswell Jones, Tony Laverick, Claire Palastanga (whose spiky heart-shaped dish was chosen for the front cover of the printed catalogue), and Maurice Young. 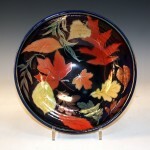 Many are members of the Craft Potters Association and are highly regarded in their respective fields. 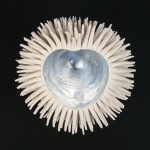 Some of the participants will be familiar to regular visitors of the Art in Clay and Sussex Guild shows and exhibitions. 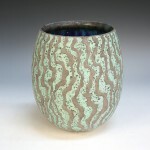 Offering ceramics alongside paintings, prints and sculptures has already changed some people’s perception of the medium and Nicholas hopes that this will continue with every Contemporary Art Auction.